HOUSTON -- Playing golf in Houston, compared to the rest of the country, is, well, cheap. It's not cheaper than playing tennis, but it's comparable to bowling, and in some cases, perhaps even less expensive. Affordable golf can be found at Woodforest Golf Club at Fish Creek in Magnolia. In fact, when it comes to big markets, you won't find more affordable golf. And here's the kicker: It's a true 12-month season. The average high during the winter months is in the 60s. And while the summer months are little hot and humid, it's nothing you can't handle, especially considering the number of quality affordable courses, which is well more than 100 in the area. Now, granted, Houston isn't exactly a tourist destination, but if you find yourself there, bring your clubs: You've got plenty of affordable options. With the exception of one course, the Redstone Tournament Course in Humble, there isn't a public golf course that costs more than $99 to play, and almost all of them are less than $50, including a cart and on weekends. Any discussion of Houston golf has to start with Memorial Park Golf Course, a 1936 John Bredemus design that was renovated in 1996. Located in the heart of the city, this parkland course hosts the Greater Houston City Amateur and was once home of the Houston Open. It's not always easy to get a tee time (there's a lottery system on the weekends) but the 7,000-yard championship test is well worth it at less than $50 for a green fee. 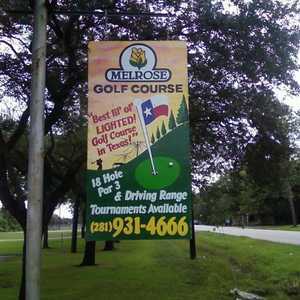 Other premium daily fees include the 36 holes of BlackHorse Golf Club on the Northwest side (designed by Peter Jacobson and Jim Hardy), Wildcat Golf Club near Reliant Stadium (where the Astros and Texans play), the Greg Norman-designed Meadowbrook Farms Golf Club in Katy on the west side, Cypresswood Golf Club in Spring and Tour 18 near Bush Intercontinental Airport in Humble. But there are a whole lot more daily fee courses that can be dirt cheap to play, especially when booked online. For example, the Golf Club at Cinco Ranch in Katy was just renovated last summer and is in great shape. Designed by late Houston architect Carlton Gipson, this par 71 stretches to nearly 7,000 yards, with plenty of water, bunkers and sloping greens. There are several afternoon tee times on GolfNow.com for $27, including cart. Another intriguing possibility is the Falls Resort & Club out in New Ulm. It's about 60 miles west of Houston but well worth the trip. The late Jay Riviere (also from Houston) designed the course and also lived there. 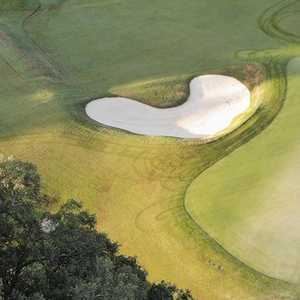 Now managed by Troon Golf, you'll find some of the most interesting bunkering and greens complexes (not to mention wildlife) in Southeast Texas. Some other courses worth checking out are Texas National in Willis just north of Houston and Pearland Golf Club at Country Place in Pearland, south of the city. Both are now run by Gantz Management Group, which has made great strides in the past couple of years bringing both courses into shape. And if fast greens are what you're looking for, go to Cypress Lakes Golf Club on the northwest side of town or Woodforest Golf Club at Fish Creek in Magnolia. Woodforest hosts a Champions Tour qualifier this year, is the site of the state pub links championship and a U.S. Amateur qualifier. With a $50 green fee during the week, it's actually one of the more expensive plays around town and well worth it with its outstanding conditioning and design. But many of these other courses -- which would also include Clear Creek Golf Course in League City, Wedgewood Golf Club and the Links at Westfork in Conroe -- can be had for next to nothing, sometimes well less than $25.